Home Uncategorized ROGUE PASSION is here! 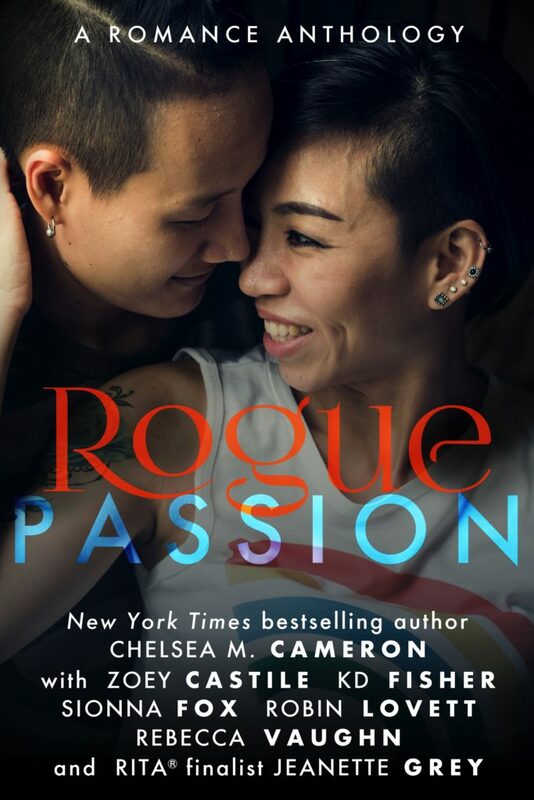 I am thrilled to announce the release of Rogue Passion. It’s a collection of seven brand new resistance romances, including stories by Zoey Castile, Chelsea Cameron, and yours truly! For release week only, get the entire volume for just $0.99! I whip around. I’m dead on my feet, but Eli’s smirk is a shot of espresso to my system. Standing against the red brick wall of the building, he’s dressed in another of his impeccable suits. He looks approachable, though. Soft. Like I could walk right on over to him and fall into his arms. He gazes at me, and the moment feels ripe with possibility. He’s still a couple of yards away, but the air between us hums. My skin prickles with awareness, and warmth flows across my skin. I take a few steps closer. He leans in, too, pushing off from the building to help me close the gap. The space around us feels even more intimate. It’s easy to forget that twenty minutes ago, the whole area was crowded with people and news vans. His throat bobs. His voice goes quiet, like he recognizes the delicate nature of the moment. “I really admire you, you know? What you’re doing here.” He gestures at the remnants of our protest. He’s so charismatic, so charming and easy to talk to. I bet he could do whatever he wanted to. I half expect him to slap my hand away. But instead, he encircles my wrist with his fingers. His thumb rubs at my pulse point, and electricity crackles all the way along my arm. My heart pounds harder. Why does that make him even more attractive to me? I’ve always counted myself as kind of a geek. Maybe we have more in common than I realized. A long moment passes just like that, the two of us gazing at each other, all but holding hands. I lick my lips and imagine his eyes grow darker. But then he tugs gently at my wrist, nudging my hand away from his face. I drop my arm, and he lets me go. My skin burns where he was touching me. He takes a step back. Am I crazy to think I see regret in his eyes?